Within the world of fiction, the mind can be a tricky place to wander around. Let us not forget how we became human batteries in The Matrix, while the machines tricked us into living a life of cool sunglasses and long leather trench coats. Or how Inception showed just how dangerous one person’s mind can be, whilst Rocksteady’s Batman Arkham Scarecrow sequences illustrate how strange the psyche can be. In Illusion: A Tale of the Mind you spend the entire experience in the mind of an individual, leaving you to attempt to escape the strange evil presence which has you held prisoner. But does it expand your horizons and open your mind? Or does it just do your head in? 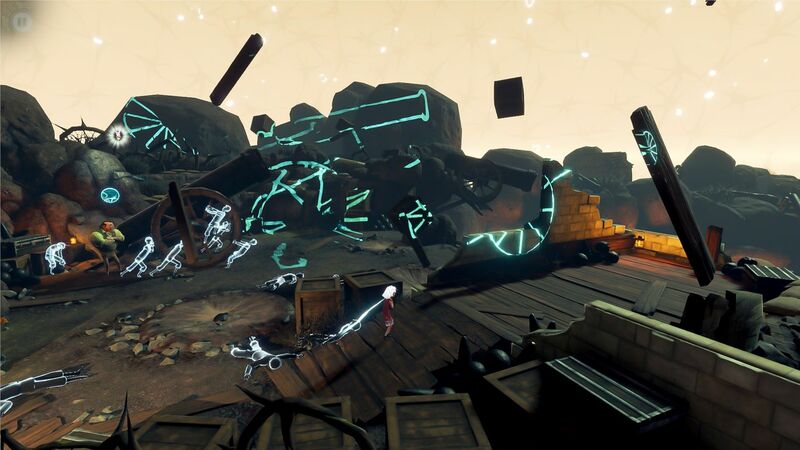 Illusion: A Tale of the Mind is a 3rd person, action-adventure, but its real essence is found in the puzzle elements. 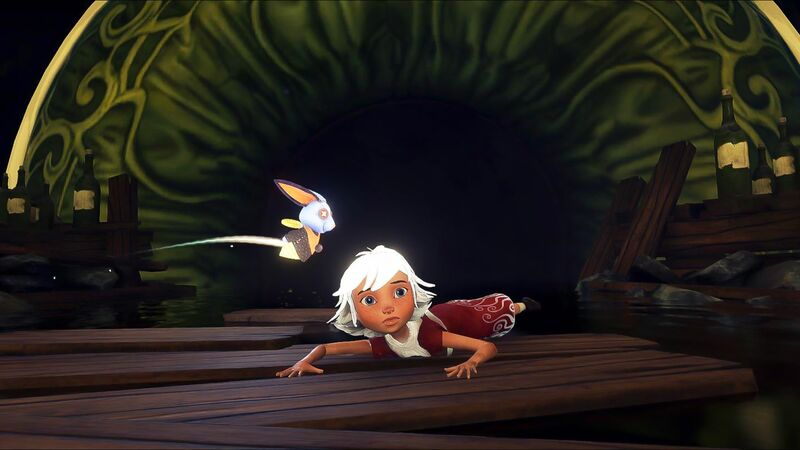 You play as Emma, who is trapped in a cage with her best friend, a flying toy rabbit. Both escape their prisons and soon they’re on an adventure to work out where they are and why this strange evil giant eye is watching them, by taking you on a journey through the surreal, much like that you may imagine if you could walk around the inner workings of someone’s mind. The main story follows that of a French strongman who we see joining the circus, as he falls in love with a fellow co-worker and they get married. An illusionist working there is also in love with the woman and grows very jealous and when the couple have a baby, their relationship ends in tragedy. They grow apart, with him turning to drink and joining in the first world war, that is until he tries to get his wife back but to no avail. Unless all this is a massive deceit, the big question to ask is who is Emma in this twisted tale? The story itself is really delightful and it tells a great tale, with some nice twists and surprises. The writing is very good, but I do question at times who the game is aimed at. It has a Disney feel with the kid and the toy, but there is a darkness to the material that wouldn’t be great with the really young ones. And then you have the gameplay…. The puzzle element is the most integral part, with a mixture of objectives which include a perspective task where you have to line up an image in the correct way. 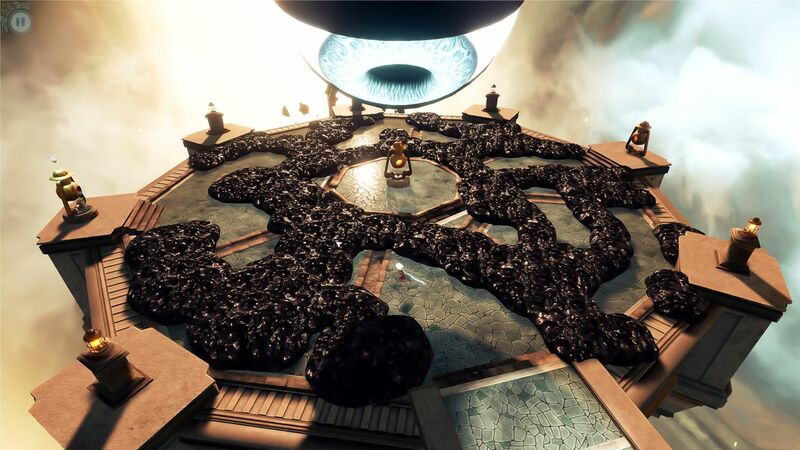 This is done by twisting certain objects around to make an overall pattern; something which is repeated throughout the game in many different innovative ways. The puzzle elements of Illusion are a constant delight and I’ve really enjoyed the challenge each one has brought. What I don’t like so much is the running around, and, later on in the game, the flying sections. They become quite annoying at times, mostly due to their lack of accuracy. The running away from anything big and bad becomes strange because it seems that success relies much more on luck rather than skill. I feel that if a bit more time had been spent on these features, with the same level of attention that is found in the overall design and puzzles, it would have all come across much better. There is also a bit of a problem with the checkpoints too and having to constantly backtrack; the war chapter especially requires a lot of to and fro action. Visually, A Tale of the Mind has a style that reminds very much of Contrast, but it goes beyond that style in both its design and scope. The world and ideas it creates around the themes of illusion and the surreal are outstanding. The journey created in the picture frame cutscenes works very well indeed and the whole tone of the war chapter is a highlight. Sound wise it comes with a very beautiful and subtle soundtrack with some great effects and lovely moments, whilst the voiceover is good – very flamboyant and energetic. I have very much enjoyed my time working through Illusion: A Tale of the Mind. The story is good, the characters are great and the visuals of the world will make you want to succeed on through until the very end. The gameplay in regards the puzzles is excellent, but all the other elements – the running, checkpoints, and pacing – very much let it down. But it does come at a good price for a game of this size and scope, so if you’re looking for an emotional adventure into the darkest corners of the psyche, and are not too bothered by the gameplay issues, then this is well worth a play.